The minutes seem to be slugging by as we wait for the phone to ring. I cleverly changed the ring for “Shady Grove Fertility” to a soft, chipper ring so I wouldn’t get my hopes up when my normal ring chimed. I read, journal, check Facebook. My LabCorp account states the bloodwork has been delivered to my doctor’s office. At 9:01am, the bouncy musical ring chimes from my phone. I hop up, prance into the office so Hubby and I can answer together. Wahoo! We are pregnant! What an overwhelm of excitement that washes over me. She continues that she would like for me to have another blood draw in 2 days to make sure my HcG is increasing at a healthy rate. We will then do a vaginal ultrasound to confirm the heartbeat at week 6. Smiling from ear to ear, I take down the information. So, how far along am I? I ask. Today is 4 weeks and 5 days. Your due date on August 28, 2019. I guess the medical field begins counting day 1 on the day of my last period and since we went through IVF, the day of the transfer was already 2 weeks and 5 days pregnant. For the next two days, it’s all so surreal. 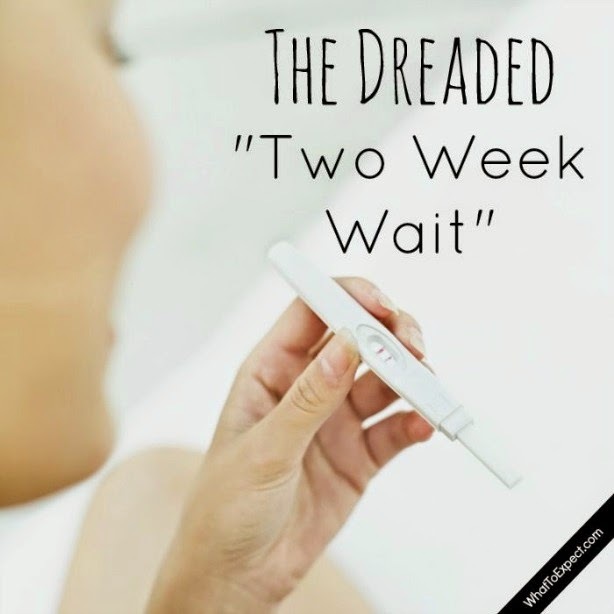 I have heard many stories of people miscarrying (even with IVF) and so I am holding my breath. I want to shout the great news from the rooftop but am also scared that I’m counting my chicken before it hatches. Hubby and I decide to wait for this next blood test to let out a little sigh of relief. We also know that we have a few more major milestones to hit before we can really celebrate and share this information with all the world to know*. The second blood test to show an increase in HcG means the fetus is growing. Most pregnancies will have the first ultrasound at 10-12 weeks, but since I am still under the care of Shady Grove, they are ensuring this pregnancy is viable. Two days later I get an early morning blood draw. Within a couple of hours, the same cheery ring comes through my phone. Confirmed: a healthy increase in HcG, we are on track for a healthy, wonderful pregnancy! Pins & Needles… or just a pin cushion? I’m beginning to look like a pincushion on my backside with little prick marks across the upper region. Hubby has done a wonderful job as I know this is not easy for him to be inflicting minor pain on me each morning and standing by as I limp off to begin my day. By no fault of his, he crept a little too close to my middle region of my back area and boy was that a rough day. Thankfully we have clarified where the upper quadrant is for this to continue. If we are fortunate, we will continue with these morning shots and the three pills a day for the next 10-12 weeks. Yes, shots in the buttock for the entire first trimester. The progesterone and estrogen combination is helpful in continuing to create a safe home for Coffee Bean to be secure and to grow healthy. Unfortunately for me, this means morning IM shots and a day with soreness when I walk and sit. This is all worth it… this is totally worth it. I have continued seeing my acupuncturist, 4 times over these past 14 days. Her main focus has been to increase blood flow to the uterus. This time she has had me laying on my stomach and needling areas of my lower back and connecting stimulation clips that provide an additional current to help encourage the response for blood flow. I can honestly say I have done everything I can think of to prepare my body for this little one to rest and grow.